Posted July 6th, 2013 by Katia Fawaz & filed under Current Affairs, Life. The interview has sought an array of attention from media critics, as Paula delves off into a whirlwind, begging for the public’s forgiveness. The reason? In 1996, The Bay Lady, a small-scale home-based catering business in Georgia, is where Paula Deen first showcased her knack for brewing up all that is deadly and delectable. As it goes when a woman tickles the hearts of American foodies, Deen was bound to upgrade. However, the media urged her to take it into the realms of the limelight, foregoing her new café. She didn’t resist the bombardment of invites from renowned American shows, publishers, or endorsement agencies. Not only was she soon admitted into Food Network, she was featured on Oprah, and partnered with Caesars Entertainment, Walmart, QVC, and many other big names. She escalated with four published recipe books, an Emmy Award and, according to Forbes in 2012, was named the 4th top-earning celebrity chef with an estimated $17 million under her apron. 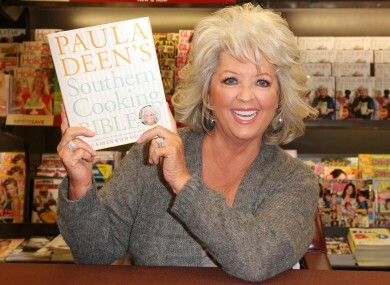 What caused “The Paula Deen Empire,” as put by New York Times, to come to a crumbling? By being accused of bigoted behind-the-scenes behaviour towards her employees and racist tendencies. Most controversially, she has been slammed for admitting under oath for using the N-word in a “non-mean way.” Adding to the burden of a lawsuit and her termination from Food Network, too many other companies who, initially, were overtly keen to feature her are now just as eager to let her go. Taking a stand against racism and defending offensive subjection is necessary on all accounts, and is by all means heroic. However, is it not contradictory for social justice advocates to own up to their own power-trip by discriminating an individual’s mistakes to the point of despair and desperation? As the career of a T.V. personality with a past of praise and success goes awry, what would be the most appropriate way for her to respond way to the rise of hate speech? If she scurried behind the curtains in avoidance of the persisting camera men, she would be accused of not only racism, but of cowardice. Assessing the degree of sincerity in her apology is irrelevant. If Paula Deen were a dictator, she should be spared zero sympathy, but I think it would be fair to give voice to the people she offended, learn from her “mistakes” while being conscious of our own, and give her some slack. ChangeLab offers some unyielding advice to offer Paula Deens of the future, check out the list!